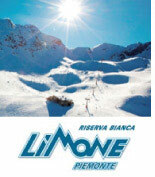 We rent Mountain E-Bike at the special price of € 40 a day !!! Borgo Fantino is a brand new holiday home estate in Limone Piemonte especially designed to give you the best holiday experience. Surrounded by nature and mountains, each house has been built within stringent eco-construction regulations and it is made of natural materials such as wood and stones for a warm and cosy atmosphere. The perfect location to relax and have fun in every season. Every apartment provides tv and features balcony or garden. Municipal free shuttle. 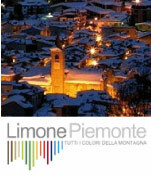 Borgo Fantino is linked to the small town of Limone with its ancient roman promenade of about 1 kilometer. Soon to be available at the resort a leisure room with table football, table tennis, table games, reading corner, snack and drink vending machine. Borgo Fantino also offers to its guests a relaxing wellness room equipped with sauna, steam bath and salt cave. You can sip a relaxing tea infusion made from herbs from the mountains during your path spa.